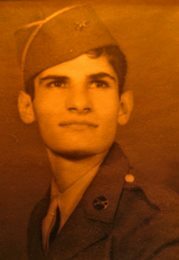 John T. DiMauro (#42132279) was born on January 23, 1926 and joined the Army on April 26, 1944 at Camp Upton (Yaphank), New York where he took some of his basic training before going to the European Theatre of Operations (ETO). John was a Pfc. in the 83rd Infantry Division, 331st Infantry Regiment, Company E, 2nd Platoon. John's niece Teresa DiMauro found these long lost photos of here uncle John DiMauro and his friend Orlando Gasperini, enclosed in a letter home to her grandmother. 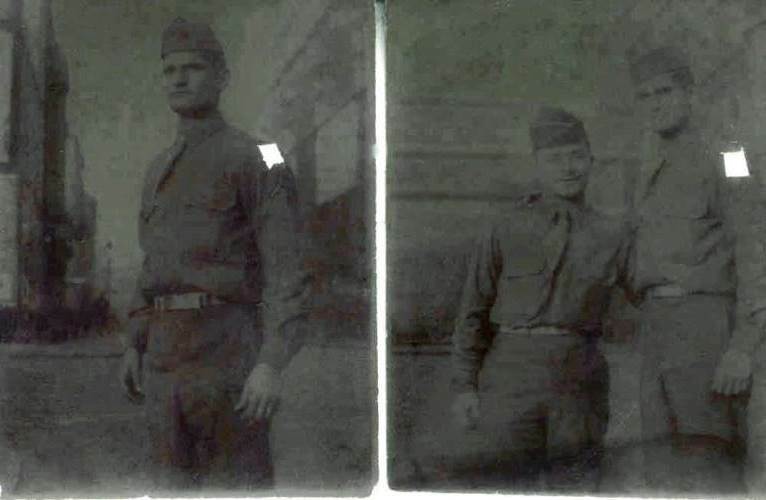 After Action Reports from February 1945 lists John T. DiMauro as Missed in Action (MIA) on January 13, 1945 while his unit was fighting in the Battle of the Bulge in the Petit Langlir area. Finally he was Killed in Action (KIA) in Bihain on January 13, 1945 after a mere 11 days in combat. The Morning Reports of Co. E, 331st Infantry Regiment from January 2, 1945 listed DiMauro John T. Pfc. as assigned and joined this unit from the 92nd Replacement Battalion. "A notation has been made on the official records of this office that it is your desire to have the remains of your son rest in a United States Military Cemetery overseas". In a letter dated January 5, 1948 to his mother, Josephine DiMauro she gets notified her son will be disinterred for his final burial. A few days after his disinterment on September 30, 1948, John DiMauro was taken to the American Military Cemetery in Henri-Chapelle, Belgium where he was buried on November 28, 1948 together with his fallen brothers in arms as his mother requested. His mother was notified of this by a final letter on January 18, 1949, from the War Department telling her: "This is to inform you that the remains of your loved one have been permanently interred, as recorded above, side by side with comrades who also gave their lives for their country. 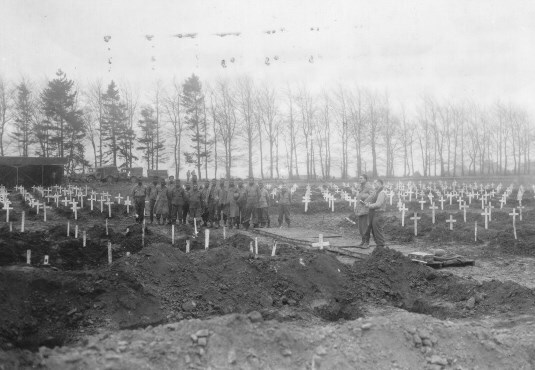 Customary military funeral services were conducted over the grave at the time of the burial." ….. "You may rest assured that this final interment was conducted with fitting dignity and solemnity and that the grave-site will be carefully and conscientiously maintained in perpetuity by the United States Government." 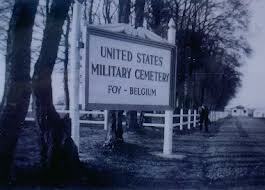 Private John T. DiMauro's final resting place is, together with 7989 brothers in arms, the Henri-Chapelle American Cemetery in Belgium, Plot H, Row 3, Grave 21. 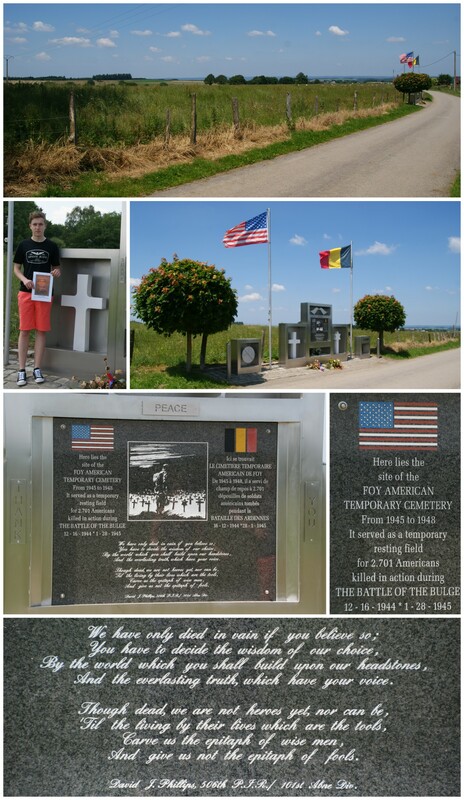 The monument commemorates the fact that there was a large American Temporary Cemetery over here, with graves of casualties of the Battle of the Bulge. 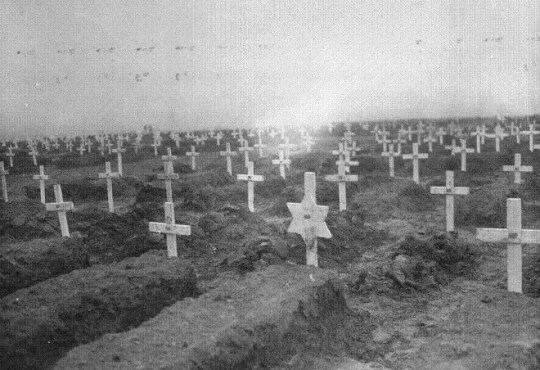 The 2701 graves on this cemetery were replaced to the cemeteries of Henri-Chapelle and the Ardennes (Neuville-en-Condroz) or to the U.S.A. I visit this Memorial on July 7, 2013 in Honor to John T. DiMauro.